Ali Rehman Khan also known as our blue-eyed actor is once again on the roll opting for a very different avatar as he signs up for his new drama serial “Khaas” soon to be aired by Hum TV. Ali will be playing a lead role in the serial alongside Sanam Baloch, which is an MD production and is going to be directed by none other than Danish Nawaz. 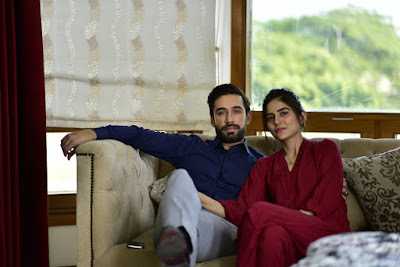 Ali Rehman Khan has become the heartthrob of country in a very short time with his good looks and out of the box acting. With his debut in “Rishtay Kuch Adhooray say” to his emotional persona in “Diyar – e – Dil” and “Main Khayaal Hoon Kisi Aur Ka”, he has managed to earn the love of thousands of fans, not to mention his comedy role in Pakistani movie “Janaan”. Khan is known to do justice to whatever characters he may choose.